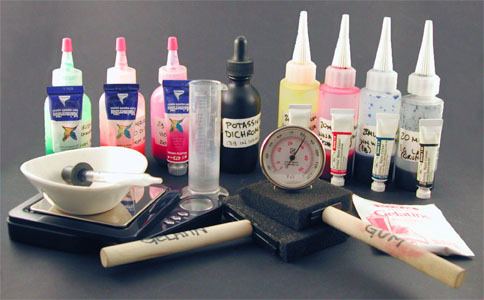 Mixed Pigment, tube pigment, potassium dicromate solution in dropper bottle, graduated cylinder, thermometer, gram scale, emulsion mixing dish, sponge brushes, & gelatin. 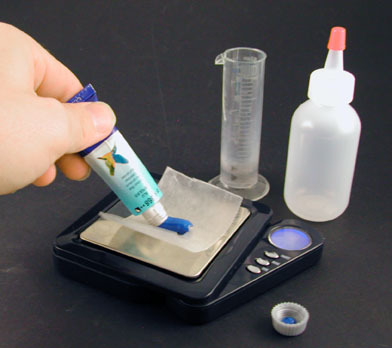 Weigh out pigment on waxed paper using a gram scale. 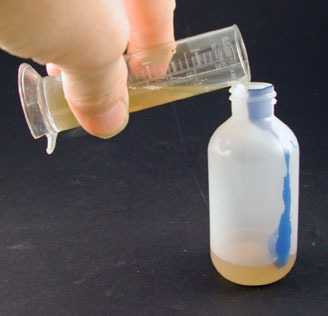 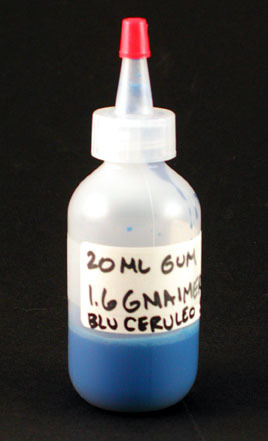 Combine Gum and measured pigment in a dropper or fabric paint bottle. 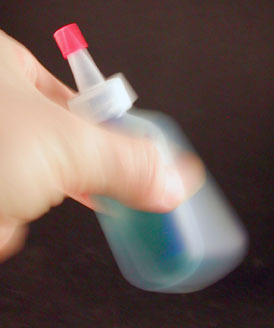 This process is hard enough. 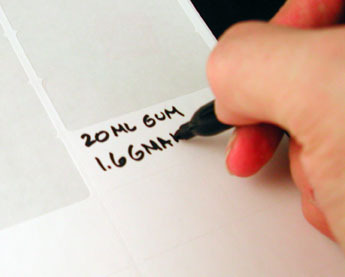 Don't do it without notes. 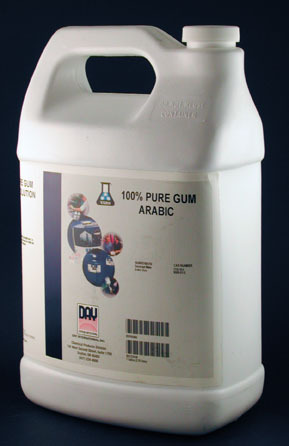 Mixed gum and pigment solution ready to use.